CK Media includes nine magazines with combined circulation of about 1 million in the soft craft subject areas of quilting, sewing and scrapbooking. The business also includes a conference and events division, book publishing, digital properties, and other business units serving the same consumer base of soft craft hobbyists. CK Media’s consumer magazines are household names and market leaders providing content and community resources for scrapbooking, paper crafting, quilting and sewing. Its key publications are Creating Keepsakes, the market leader serving scrapbooking enthusiasts, several quilting titles such as McCall’s Quilting and Quilters Newsletter, and various others including Sew News. CK Media was part of PRIMEDIA until 2006, when it was acquired by Sandler Capital. 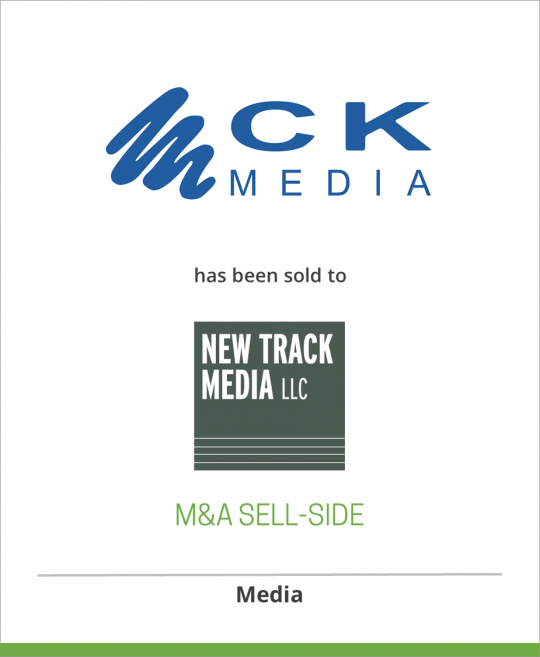 New Track Media LLC is wholly owned by BVK Holdings LLC, an entity formed by Boston Ventures and Stephen J. Kent for the purpose of building up a premier consumer enthusiast publishing platform in a range of special-interest subject areas. New Track Media and BVK operate from offices in Cincinnati, Ohio, which is where the firm has a corporate development team.